Everyone running for mayor wants to fix Chicago’s mental healthcare system. But how? With the 2019 mayoral election fast approaching, what to do about the vast numbers of Chicagoans lacking adequate access to mental health treatment remains a huge question for candidates. 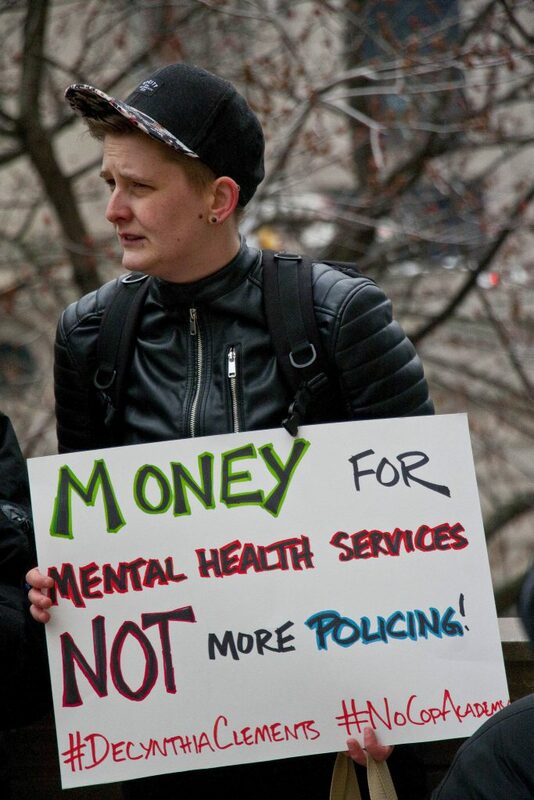 Since the City Council voted to close six public mental health clinics in 2012 as part of budget austerity measures, the Chicago Department of Public Health has reported an uptick in the number of hospitalizations due to behavioral mood disorders. Research by Saint Anthony’s Hospital in North Lawndale demonstrated that a majority of residents in Chicago’s South and West Side neighborhoods who seek mental health care find it to be too costly or must wait for upwards of six months for an appointment. One in three inmates at Cook County Jail suffers from mental illness, according to reporting in The Atlantic. It’s an ever-present crisis that speaks to underlying themes of inequity and disinvestment in minority neighborhoods. While the City Council’s recent decision to create an exploratory task force marks a first step, it’s hardly comprehensive. The next mayor will set the economic agenda and decide how much (or little) to devote in reform. Here’s a rundown of each candidate’s plans based on our interviews, their campaign websites and our scraping of major Chicago media. 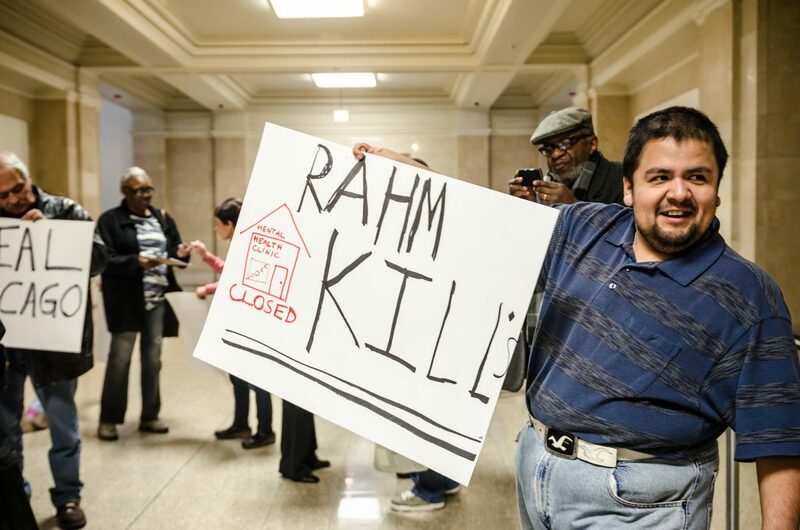 The crux of Chico’s mental health platform lies in dismantling one of Mayor Rahm Emanuel’s most notable pet projects. In December, Chico announced, if elected, he’d shut down the City Infrastructure Trust, an Emanuel-era initiative to attract private investment in city projects. It’s widely agreed to have underperformed. Chico would put that money—an estimated annual $1.6 million in taxpayer dollars—towards services for mental illness. Daley calls the decision to close clinics’ doors a “devastating blow to the Chicagoans who depended on them.” He casts some blame on the Illinois government for consistently spending less on mental health programs than other states. With pronounced fundraising expertise, Daley plans to increase state and city partnership on investment in mental health. He’ll also create the Mayor’s Office of Violence Prevention and Reduction, tasked with deploying tactics like counseling and life-coaching to at-risk young people and former inmates re-entering society. “We must do better by these communities and pull together the requisite resources to bring services to our neighborhoods that need the most,” Daley said when asked about the challenges facing minority areas. Enyia found a powerful partner on her mental health agenda in Chance the Rapper, a Chicago hip-hop musician turned activist who gave $1 million to mental health community programs last year. Beyond reopening closed clinics and building more, Enyia stresses education reform, demanding government equip every public school with the sufficient nurses and counselors to help students process their neighborhood trauma. While serving as alderman to the 2nd ward, Fioretti publicly voiced concern about the 2012 budget that would shudder the clinics. However, when the time came to vote, he rubber-stamped the resolution. As a candidate, however, Fioretti plays the other side. H’s called for freezing the city’s expansive TIF program, a disputed property tax policy meant to encourage development that critics say has drained blighted neighborhoods of funds for social services. According to his website, Fioretti would halt TIF, evaluate where the money’s being used and send unused existing funds towards projects like re-opening mental health clinics. Growing up in Chicago’s most infamous public housing project Cabrini Green, Ford witnessed firsthand the destruction that untreated trauma, addiction or other mental illness brings. The schoolteacher turned state senator believes safer communities require expanded mental health services, according to his website. On the state level, he’s advocated aggressively for restorative justice programs, endorsed a West side ballot referendum to increase property tax to fund community-run mental health clinics and spearheaded state-level efforts to integrate mental health care and Medicaid. During a mayoral roundtable with the Chicago Tribune editorial board earlier this month, Joyce diverged from his fellow candidates on how to swiftly abate Chicago’s crime problem. In the short run, he said, he’d hire more cops to avoid overworking detectives rather than fortifying social services. The crime attorney also said he would work to strengthen neighborhoods in the long run, but his website’s suspiciously quiet on how. Despite running on an unabashedly anti-establishment platform with a progressive tilt, Kozlar’s website includes no direct mention of mental health, and he’s been tight-lipped on the issue in Chicagoland media. Lightfoot’s plans to combat the crisis closely intertwine with her ideas for improving public schools and addressing crime. If elected, the former President of the Police Board would create a Mayor’s Office of Public Safety, charged with, among other things, leading a committee devoted to rebuilding community-based public and private mental health facilities, de-stigmatizing mental illness and supporting those who closely experience violence. Lightfoot also proposes staffing public schools with experts trained in trauma-informed care and youth mental health. Many contend the embattled former Chicago Police Superintendent, who oversaw the department when Laquan McDonald was killed and was subsequently fired, entered the race simply to unseat his onetime boss Emanuel. However, once Emanuel announced he wouldn’t seek re-election, McCarthy’s fiery focus shifted, his sights set on undoing Emanuel’s legacy. That includes opposing the construction of the $95 million new police academy, which McCarthy called a “shiny object” for “political purposes, not functional purposes,” in an interview with the Chicago Sun-Times last summer. In that same interview, he said he’d reallocate some of those funds towards putting mental health centers back into the communities that need them, key, in his view, to long term crime reduction. Like many of her competitors, Mendoza believes that solutions to Chicago’s rising rate of mental illness among minorities and the devastatingly high number of the sick who end up incarcerated lie at the intersection of law enforcement, violence reduction and social services. Following the footsteps of major metropolitan areas like Houston, Los Angeles and Salt Lake City, one of Mendoza’s hallmark initiatives is a co-responder program in which mental health specialists respond alongside police officers to designated incident calls. As described on her website, upon arrival, the two would work together to link needy individuals to treatment services rather than to the criminal justice system, where applicable. The five-term alderman who now serves as Cook County Board President believes that providing mental health care is a crucial step in addressing Chicago’s gun violence pandemic. “People who don’t have access to mental health services end up in the county hospital, in the emergency room or in jail because they acted out,” Preckwinkle said in an interview with The Washington Post. Although specifics to Preckwinkle’s plans are lacking, she was one of five mayoral-hopefuls who pledged to reinvest at least $25 million into expanding mental health services, prioritizing care resources and re-opening clinics at a forum earlier this month. The bright-eyed South Side local enters the race as the only true outsider. He’s never served in public office; instead making his name in tech entrepreneurship. He has deep ties to the nonprofit and advocacy communities and remains closely connected to his roots on the South Side, which informs his viewpoint on the collision of mental health and violence prevention. In addition to exploring re-opening mental health clinics and bulking up staff resources at existing providers, Sáles-Griffin wants to ramp up services available over the phone or online, according to his website. He also believes that normalizing mental health support is crucial, particularly in those communities most impacted by violence. Vallas wants to go big, constructing a community-owned, city-funded clinic in every police district—totaling 22—that provides treatment for illness, support for neighborhood-specific needs like affordable housing, personal finances or nutrition and works in tandem with law enforcement on training and crisis intervention. Additionally, the former CEO of CPS believes that mental health treatment needs to begin at a very young age, so he’d institutionalize these services in high schools and elementary schools. During a WLS radio interview last year, Wilson attacked Emanuel’s decision to close mental health clinics and introduced race into the debate, saying the mayor has a “mental health problem” of his own. “If I closed 48 schools and were mayor today in a white community, what do you think would happen?” Wilson said. Citing private conversations with police or fire responders, Wilson asserted in a Chicago Sun-Times questionnaire that more than half of emergency calls involve mental health issues. The first step to addressing crime, then, is to keep vulnerable citizens from turning to medication and instead allow them to turn for help. Like the other candidates in the field, Wilson wants reopen community health clinics and provide support for distressed communities more directly.